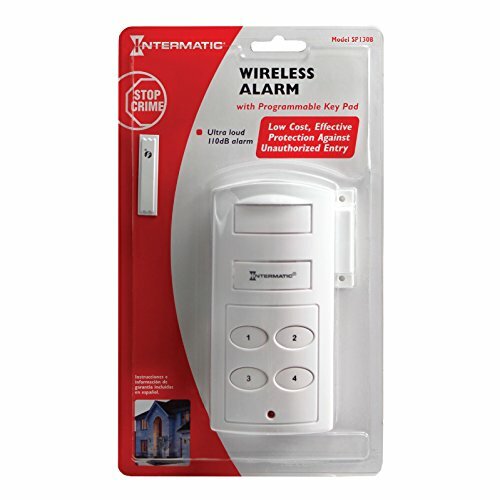 The Intermatic magnetic trip wireless alarm provides safety, security and convenience. 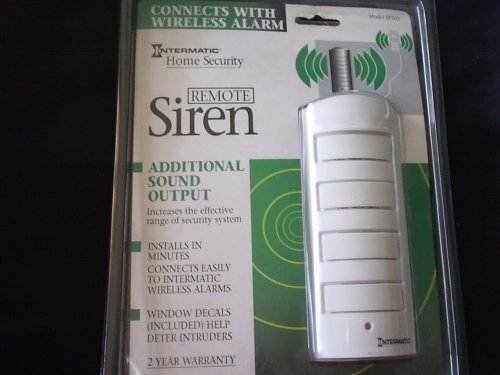 Mounted on a door or window, the alarm sounds a piercing 11 dB siren when the magnetic contact separates. 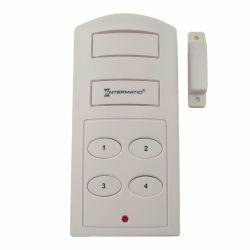 When the code is entered on the programmable keypad, the alarm is activated/deactivated. This security system comes with a 6-year limited warranty. 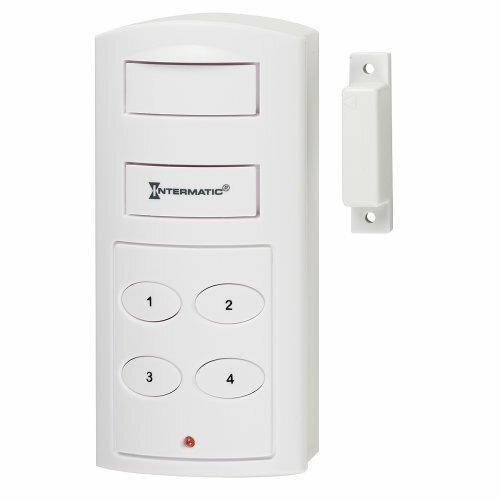 The Intermatic magnetic trip wireless alarm provides safety, security and convenience. Mounted with double-sided tape to a door or window frame, the alarm sounds a piercing 90 dB siren when the magnetic contact separates. When the code is entered on the on/off switch, the alarm is activated/deactivated. This switch operates on and includes three replaceable 1.5-volt button batteries. This ivory security system comes with a 6-year limited warranty. 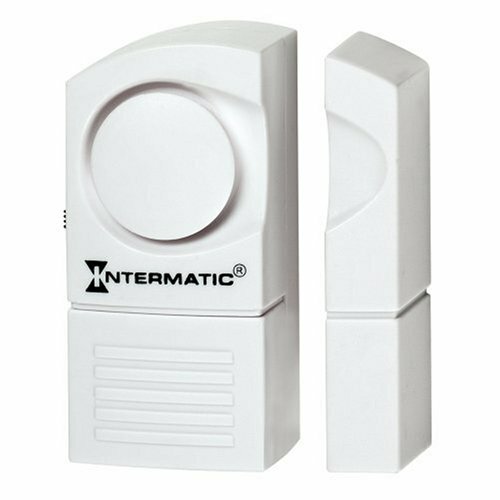 This compact, easy to install magnetic contact alarm made by Intermatic (a recognized leader in the security industry) can be used on doors, windows- anything that opens and closes. It is an ideal security device for home, store, office, etc. If the protected door or window is opened it will sound a powerful 110dB alarm to scare off the intruder and alert you to the attempted entry. The owner can arm or disarm the unit using a programmable security code. For added protection one window security sticker is included. It has a 30 second exit delay and a 10 second entry delay. It requires 4 AA batteries that are not included. A low battery indicator will inform you when it is time to change the batteries. The dimensions of the alarm are five and three-eights by two and three-quarters by one and one-quarter inches. for use with the Intermatic Wireless Alarm model SP210 (which I also have for sale). Ultra loud 130dB alarm. Low battery indicator. Connects to Intermatic alarms using simple push fit connector. Includes 48' of connecting cable. Requires four "AA" batteries not included. Triggers piercing alarm (ultra loud 130dB) when magnetic contact point is broken. Installs in minutes.